The field accessed from the main Doncaster Road entrance into Badock’s Wood (and which contains a 3500 year old Bronze Age Burial Mound at its north-western corner) was known as “Milltut Field” or “Mill Toot Field” since at least the seventeenth century. This suggests that the burial mound, “Southmead Round Barrow”, was once the site of a windmill. However, no actual remains of a windmill have ever been found at the mound to support this suggestion. Anecdotal evidence supports the theory that there were windmills in the Westbury area in the past and which subsequently gave rise to field names such as “Windmill Close” and “Windmill Leaze”. The Southmead Round Barrow (or tumulus) is a Scheduled Ancient Monument dating from the early Bronze Age and in the Bristol Sites and Monuments Record it is recorded as “SMR No 793”. It is 20 yards (18m) in diameter and 7 foot (2m) high and was reportedly crowned with 23 “Scotch Firs” (sic) in the 15th century. It was first excavated in 1873 by R A Montgomery who cut a passage four feet (1.2m) wide from the south side to the centre where it was enlarged to west and east. This work showed the barrow to be made of small unshaped stones of carboniferous limestone carefully piled up and embedded in a reddish earth. Flint flakes and 2 flint scrapers, together with animal bones were found in the mound. Fragments of human skull and other human bones were also discovered, though there was no evidence of a burial chamber or even a coffin. Later work by Professor Tratman and the University of Bristol Spelæological Society (UBSS) led to a more detailed description of its structure and convinced Tratman that it was Middle Bronze Age in date and that is it was constructed about 1300 BC. 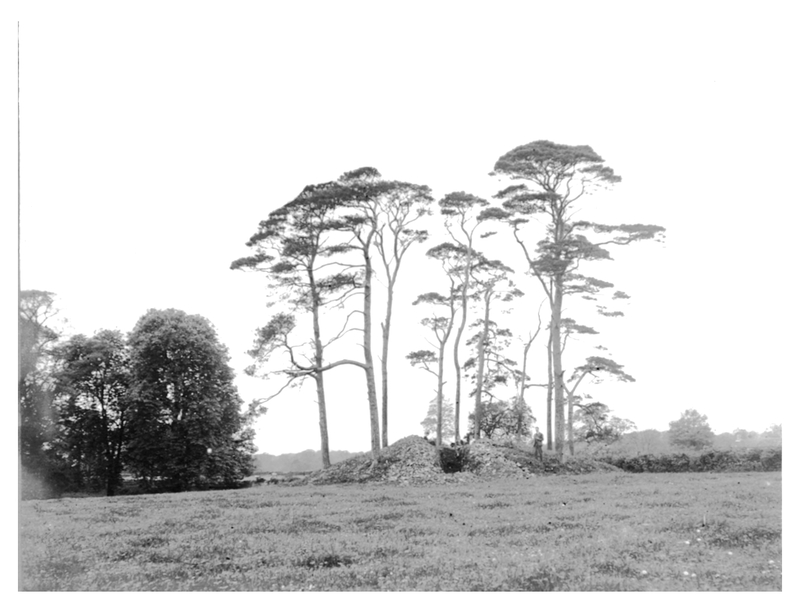 The black and white photo shows the barrow under excavation by UBSS in the 1920s. The modern photograph of the Barrow is reproduced by kind permission of Jo West. In 1937 Milltut Field, along with other parcels of land, was given to Bristol City Corporation (now Bristol City Council) to be used as a Public Park and open space. Notwithstanding its “Public Park” status, allotments were laid out in the field during the Second World War, although not right up to the barrow. After the Second World War, the erection of 81 prefabs started in Milltut Field in about May 1947. The road serving these prefabs was named “Bowness Gardens” and connected with Doncaster Road at the point where the main vehicular entrance into Badock’s Wood is today. After the removal of the final prefabs, Milltut Field was returned to its intended status as a Public Open Space with extensive landscaping and planting taking place, although some of the prefab’s ornamental garden trees were retained. There is a covenant on Badock's Wood that was effected between Bristol Corporation and Sir Stanley Badock et al at the time that the area became a Public Park in 1937. The covenant states that only "such buildings and works would be permitted as was necessary to protect the lands; otherwise no other such structures could be erected". Milltut Field (parcel 261), which temporarily became Bowness Gardens, was included in the 1937 covenant. Presumably, as the prefabs were regarded as "temporary dwellings", Bristol City Corporation considered it appropriate to "turn a blind eye" to the restrictive covenant in support of the War Effort and the urgent need for temporary post-war housing at that time. 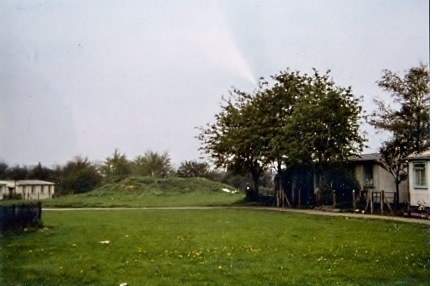 The photo of the Barrow amongst the prefabs is reproduced by kind permission of Julian Lea–Jones. In early 2017, a detailed archaeological survey of the wood was carried out by Nicola Strange of Exeter University. Her major find was that virtually the entire wood was bounded by banks and ditches at least some of which may date back to Medieval times. Nicola has kindly allowed us to host a copy of her report on this website. It may be downloaded from here. 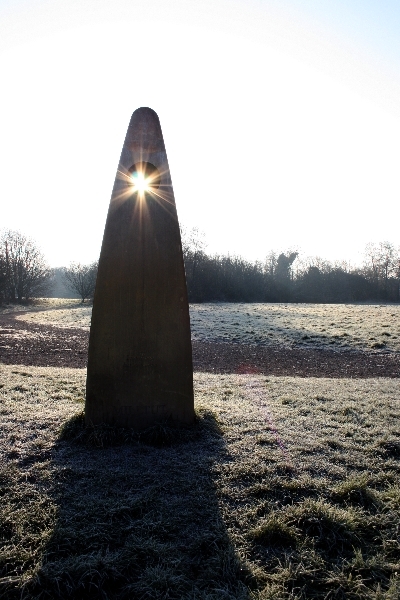 In 2002, Bristol City Council commissioned the monument as a way of defining the location of the Bronze Age barrow. The Council were concerned that the barrow, which is a scheduled ancient monument, was not marked in any way and also by the fact that it was suffering from vandalism. The Council had thought initially of an Information Board but felt that this could itself be vandalised and may not have had universal appeal. This led to the decision to commission an artwork that would be both robust, informative (without being wordy) and attractive. The Council commissioned Michael Fairfax, who had considerable experience in this sort of project, to design the monument. It was subsequently made by Jordan Fabrications of Yate and was formally unveiled in February 2003. The words define, in poetic form, the history of the monument from burial mound to windmill. The wording on the rear of the monument simply denotes the fact that this is a Bronze Age burial mound within the former field known as 'Mill Tut'. The photograph of the monument, here, is reproduced by kind permission of Jo West. Hosted by courtesy of Crime Review.